Bible Studies | J.W. Wartick -"Always Have a Reason"
I’ve been reading through the Bible and making a kind of commentary on the whole thing as I go. Needless to say this has been a lengthy project! Here’s an expanded note I made in Psalm 50. In context (50:9-13), you can see that it is surrounded by God noting that God has no needs, that God does not need to eat or drink, and the like. In the Ancient Near East, sacrifices were often thought to be providing the needs for the gods. Here, in context (50:8, 13), it is clear that YHWH is distinguishing Himself from those alleged deities. There are no needs God has. Indeed, if God had needs, there would be no need to tell us because all belongs to God already. This is a powerful reminder of God’s sovereignty over all the universe. There is also no small amount of irony/humor involved in the passage. The irony is centered on the fact of God’s power as well. Supposing that a God who created the entire universe does exist, is it not frankly hilarious to imagine that same deity depending on us to provide food? Against the backdrop of the Ancient Near East (see Walton’s work for an extended look), this makes more sense, though. It was thought that by providing for food and drink for the gods, the one offering the food could free the deity up to take care of more cosmic needs. In stark contrast, the God of the Bible claims not only to be fully capable of taking care of the cosmos, but also asserts there are no needs God has that we can fulfill. It’s an astonishing declaration of God’s might. It also can provide some degree of comfort: God doesn’t need you. Grace is a gift. What are your thoughts? How might we take this verse in its ancient context and draw out the humor for today? In Judges 15:3, having discovered his wife was given to someone else, Samson notes that “this time” he has the right to take vengeance. What does this mean? Is Samson saying that he has a right ‘this time’ as opposed to last (when he took vengeance because of the Philistines getting the answer to his riddle through his wife)? Or does he mean that he has a right ‘this time’ in addition to the last time? Added dimension: In 14:19 when he strikes down 30 Philistines he does so in the power of the Spirit of the LORD. Further dimension: 14:4 speaks of how the LORD was seeking to confront the Philistines. It seems to me this must imply that God, in sovereignty, is guiding the events towards an end God desires. Given this, we may be tempted to say Samson’s right is indeed a right to vengeance–a divinely given one. But it is possible God is also using this (clearly) sinful man in spite of the sinfulness of his behavior, including his desire for vengeance (which belongs to God alone). Which interpretation do you think is correct? Why? 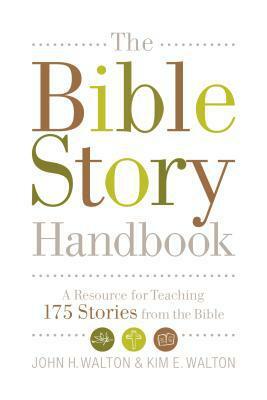 John Walton and Kim Walton’s The Bible Story Handbook is a resource for teaching 175 Bible stories and their meanings. I want to say at the outset that this wide range and its being written towards a general audience (with teaching to children as a special focus) in no way means this is an easy or unchallenging book. The book has a great introduction that argues that we need to be teaching the actual point of the Bible stories we use in lessons in Sunday School, sermons, and the like rather than abstracting the stories and chopping them apart to draw out specific illustrations we’d like to have. This is a very challenging introduction, not because it is technical, but because we so often do see this done in teaching the Bible and we so often do it ourselves. For example, we might see the story of Jonathan and David as about friendship rather than about what God was doing through the people acting in the story. A more extreme example is from the authors: one of their children came home and had been taught the story of Cain and Abel in Sunday School. But the point of the story–which was told sans violence because of the age of the children–they were told was that Cain and Abel had bodies. That’s it. It is this level of abstraction that John Walton and Kim Walton work against in the book, consistently arguing story-by-story that the point of the Bible is to teach us about God and God’s action in human history. The stories are each outlined in the same fashion. There is a subheading listing the passage that has what the Bible story is (i.e. Samson and Delilah) followed by the verses that will be discussed (i.e. Judges 16). Then, there is a “Lesson Focus” that outlines key parts of the lesson in a sentence or two, then has main focal points of the lesson in bullet points. After that there is a Lesson Application which hones the Lesson Focus in to what we might take from the lesson. Then, the biblical context of the lesson is highlighted (this section often begins the same if there are multiple lessons in the same book). After that, Interpretational Issues are addressed (such as Samson’s hair and his strength). Background information related to the text is given (such as looms and their usage at the time of the story). Finally, “Mistakes to Avoid” puts forward the key meaning of the text and highlights some errors related to interpretation that people often make related to the specific text. These sections each have vital information and are certainly of great value for those who want to preach, teach, or explore God’s Word. There are a few downsides to the book. At times, it seems the “Mistakes to Avoid” might not fully explain why certain interpretations are “mistakes” or why the preferred interpretation ought to be put forward. The book has very broad application but does focus on teaching the Bible stories to children. It would perhaps have been nice to have similar notes about how to direct the lesson towards adults. These are both largely just nitpicks about what is an otherwise phenomenal book. John Walton and Kim Walton have done a great service with The Bible Story Handbook . I would recommend it for the shelf of the pastor, teacher, and laity. Anyone can benefit from reading the book, whether they are just learning the Bible or coming back to stories that have grown familiar with time. Highly recommended. Disclaimer: Crossway provided me with a copy of the book for review. I was not obligated to provide any specific kind of feedback whatsoever, nor did they request changes or edit this review in any way. John Walton and Kim Walton, The Bible Story Handbook (Wheaton, IL: Crossway, 2010). Bible Note: Judges 14:14- Samson, a Riddle, and Dramatic Irony? I’ve been reading through the Bible and making a kind of commentary on the whole thing as I go. Needless to say this has been a lengthy project! What do you think? Is this parallel in the text? If so, is it intentional? What might we learn from its presences/lack thereof. The Law Always Condemns, The Gospel Always Saves. Or, why I’m a Lutheran. How are Christians to view the relationship between Law and Gospel? The issue has generated countless views and debates. One recent work which illustrates the breadth of views on this topic is Five Views on Law and Gospel , which outlines the major views on the issue. C.F.W. Walther’s work, The Proper Distinction Between Law and Gospel , is what I would consider the definitive work on Law and Gospel. Here, I will outline what I believe is the correct understanding of Law and Gospel, while drawing heavily from Walther’s work. The most central point of all–that is, the point that I hope readers remember if nothing else–is this: The Law always condemns, the Gospel always saves. This point is emphasized throughout Lutheran theology. What does it mean? Simply put: it means that these two doctrines, found throughout Scripture, have entirely distinct meanings and usages. One cannot intermingle law and gospel while remaining true to either doctrine. Wherever the Gospel is presented as if it had requirements attached to it, there the Gospel is not rightly preached. Whenever the Law is preached as if it offered some kind of free gift, it is not rightly preached. Law only has power to condemn. It cannot save. That is because none can keep God’s Law. All sin, and all fall short of the glory of God (Romans 3:23). The Law shows what God requires of us. It “issues only commands and demands” (Walther, Proper Distinction…, 9). In contrast, the Gospel only gives offers without requirements attached (ibid). The Gospel shows us God’s promises and offer of grace. At first face, one examines the whole of the Bible and finds these teachings throughout. The teachings seem so at odds with one another that one might suspect a contradiction throughout the Biblical teaching. However, the fact is that both doctrines are “equally necessary. Without the Law the Gospel is not understood; without the Gospel the Law benefits us nothing” (Ibid, 8). The reason this is so important is because Law and Gospel are not opposites working against each other. Instead, both “have their final aim [human] salvation” (Ibid, 7). They work together to present a full picture of how salvation comes unto men. The Law, as we have noted, cannot bring salvation because none but God can fulfill it. That is, it gives the requirements for salvation but no one can meet these requirements! We would all be lost if this were the whole of Biblical teaching. Yet there is more to the story, for the Gospel offers only its promises. God has promised to save. He is mighty to save. God has accomplished our salvation. And this salvation does not come with requirements attached. Such is our hope. Most simply put then, the purpose of the Law is to show our need for the Gospel because we cannot meet the requirements of the Law. The purpose of the Gospel is to show that God has already met these requirements for us in Jesus Christ and to offer us that fulfillment through Christ’s atoning work. So the Gospel, without the Law, would be empty promises. What need have we for Gospel if we are not sinners? Yet without the Gospel, the Law is only a terror which tells us that all are condemned. A number of objections have been raised against this understanding of Law and Gospel. For example: “[The notion t]hat the law must be viewed as a single entity is one of the most common of all objections made against the Christian use of the Law” (Walter Kaiser, Jr., “The Law as God’s Guidance for the Promotion of Holiness,” 188, cited below). Kaiser then argues against viewing the Law as a single entity. He makes distinctions between Civil, Ceremonial, and Moral laws. I agree that we can make these distinctions, but they do not somehow mean it is impossible to refer to the “Law” as a whole entity with all of the commands God has issued. Another common objection is that of dispensational thought. It is often charged that because we live in a new dispensation, the teachings of the Mosaic Law, for example, no longer apply to us. Without commenting on the plausibility of dispensationalism, I would simply answer that it seems extremely hard to reconcile the notion that the Mosaic Law has no applicability in our own context with Jesus’ words about the Law: “For truly I tell you, until heaven and earth disappear, not the smallest letter, not the least stroke of a pen, will by any means disappear from the Law until everything is accomplished” (Matthew 5:18). Note that this verse also shows Christ using the “Law” as a single, coherent entity. Yet does this mean that everything recorded in the Mosaic Law has applicability exactly as written? No. A further discussion along this line of thought would take me too far afield, but I think that the Bible does clearly teach there is some discontinuity between the application of Mosaic Law to the Jew and the New Covenant with Christians (for example, the dietary laws do not apply to Christians). This hints back at the divisions Kaiser was keen to make within the Law, and I think the application to the Christian life can be viewed within the categories he discusses. There is so much more worth saying about Law and Gospel, but in the interest of keeping this post at a readable length, I have had to set some aside. Interested readers should see the annotated sources below. We have seen that the Law and Gospel must be properly divided in order to properly understand the whole of the Bible’s teaching. Why do I say that this is why I’m a Lutheran? I hope, at least, that other branches of Christianity teach these distinctions between Law and Gospel. But I have to admit that I have not seen it so consistently done as it is within the Lutheran perspective. Martin Luther was right to focus directly upon this teaching, and I believe it is central to the Reformation[s]. It touches upon soteriology, sanctification, the atonement, and more. Thus, I think it is vitally important to get this doctrine correct. In my studies, I have found no teaching so close to the Biblical truth as the Lutheran teaching on Law and Gospel. I’m not saying that everyone should go and become Lutherans. Instead, I think that everyone should benefit from learning the proper distinction between Law and Gospel and apply it to their lives. The Law always condemns, the Gospel always saves. Appendix: The Modified Lutheran View? I think it is important to note that the view put forth as “The Modified Lutheran View” in Five Views on Law and Gospel is not, so far as I can tell, the Lutheran view at all. I want to make this clear because we need to avoid this misunderstanding. Douglas Moo’s view essentially seems to be temporally-based. He writes, “Basic… to biblical revelation is the contrast between ‘before’ and ‘after’ Christ, a contrast between two ‘ages’ or ‘eras’… the New Testament writers… relegate [the Mosaic Law] basically to the period of time before the coming of Christ” (322). Those who have stuck with me this long should be able to immediately see how this is utterly different from the Lutheran view I proposed above. The distinction between law and gospel is not a temporal distinction whatsoever. The Law is still with us. Walther himself makes this explicit: “[W]e find both teachings in the Old as well as in the New Testament” (Proper Distinction… 62). There is no temporal dividing line between Old and New such that some new reality has dawned on Law and Gospel. Instead, the Law continues to condemn, while the Gospel continues to save. Yet Moo goes so far as to say this is a point which needs to be “corrected” within the Lutheran view (ibid). He seems to think that Lutherans would deny that Jesus was able to speak law, while also mistakenly painting the Sermon on the Mount as being a preaching entirely of the Law. Indeed, Moo’s view seems to affirm many of the basic tenants the Lutheran view explicitly denies, such as mixing the uses of Law and Gospel. I thus would say that Moo’s position is not at all the Lutheran view. It is not a modified Lutheran view at all. Instead, it seems to violate a number of the primary distortions noted above. That said, Moo does admirably to defend the notion of the Law as a coherent, cohesive whole. There is much to commend Moo’s essay, but it ultimately fails, I think, to provide a properly Lutheran view of Law and Gospel. Like this page on Facebook: J.W. Wartick – “Always Have a Reason.” I often ask questions for readers and give links related to interests on this site. C.F.W. Walther, The Proper Distinction Between Law and Gospel (Saint Louis, MO: Concordia Publishing House, 1986). This is Walther’s magisterial work on Law and Gospel. I cannot recommend it highly enough. I personally think this book should be required reading for every single seminarian. He goes through and lists numerous distinctions to be made in learning, teaching, and applying Law and Gospel. Every Christian should read this book and apply it to their lives. Five Views on Law and Gospel, ed. Stanley Gundry (Grand Rapids: MI: Zondervan 1999) – I specifically used the following essays: Walter Kaiser, Jr., “The Law as God’s Guidance for the Promotion of Holiness” in Five Views on Law and Gospel, ed. Stanley Gundry, 177-199, (Grand Rapids, MI: Zondervan, 1999); Douglas Moo, “The Law of Christ as the Fulfillment of the Law of Moses” in Five Views on Law and Gospel, ed. Stanley Gundry, 319-376, (Grand Rapids, MI: Zondervan, 1999). I found this book to be very helpful in outlining various views, but was disappointed with the “modified Lutheran view” (see my appendix here). The Apocrypha is a wealth of devotional reading that remains largely untouched by Protestants. No longer, I say! Martin Luther said of the Book of Judith (in the Apocrypha): “[T]his is a fine, good, holy, useful book, well worth reading by us Christians. For the words spoken by the persons in it should be understood as though they were uttered in the Holy Spirit by a spiritual, holy poet or prophet who, in presenting such persons in his play, preaches to us through them” (cited in The Apocrypha: The Lutheran Edition With Notes, 5-6). It should be noted that Luther is not suggesting that the Apocrypha is on par with the sacred canon. Instead, his view of the office of the ministry is that those ministering are speaking through the spirit. He and others view the book of Judith as a piece of historical fiction, made clear to its readers that it was fictional by its commingling of names from different cultural backgrounds and its generally ahistorical nature. Although it is fiction, that does not undermine the possibility of spiritual truths. Here, we’ll explore the Prayer of Judith in Judith 9:1ff and see how it points to God as transcendent Lord of all creation. Judith here acknowledges that all which God plans comes to be. Note that here, Judith does not affirm that God specifically intends for each and every thing that occurs. Rather, this passage reveals that God is in control over all things, accomplishing His plan in such a way that the things He intends will come to pass. Yet the author does not imply that God intends for all things which do happen. 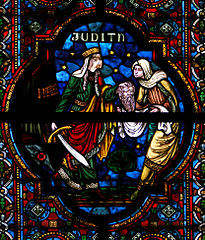 Judith does not pray thanking God for causing evil–such would be wildly inappropriate. Instead, Judith focuses upon God’s comprehensive plan which takes into account all things. God has “prepared in advance” all His ways. His judgment and execution of plans is “with foreknowledge.” God’s plans are with absolute foreknowledge of what occurs, and we can trust in God to execute rightly. One of my favorite lines in the entire book of Judith: “the Lord who crushes wars.” Think about the implications there: it is God who is control of the destinies of nations. Although the weapons of humanity may be raised against each other, the Lord crushes the war itself. We are reminded in Revelation that there will be a day with no more tears (Revelation 21:4). One day, God will crush the very possibility of war. 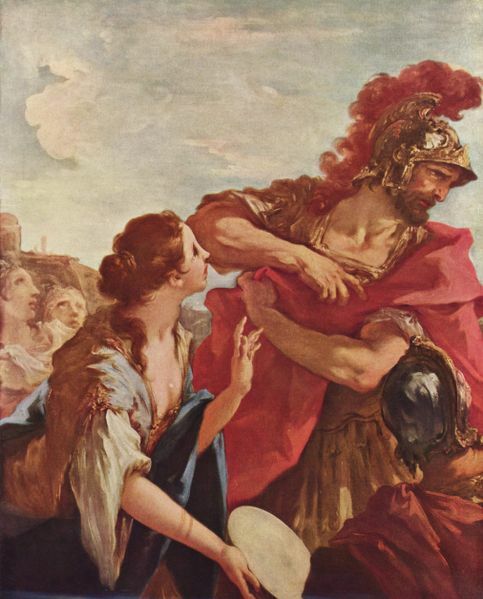 Furthermore, it should be noted that in context, Judith is not suggesting that God is against any type of war per se; after all, Judith goes on to behead the leader of the Assyrians and the Israelites pursue the Assyrians from their land. Instead, it is the trust in human invention that is under assault here. The Assyrians put their trust into their own weapons instead of God. Rather, it is God who should be trusted, for it is God who has the power not only to wage war but to destroy war itself. God uses the unexpected for His ends. Women were not the expected leaders; deliverance was more likely to have come from a great general–a man. Yet God uses the weak to bring down the strong. Judith continues her prayer, exhorting God to bring His message to all peoples across the whole earth. Such is our own call as Christians. We are to carry out God’s plan in this mortal realm and bring God’s message to the whole earth. Yet we cannot forget that it is God alone who is our unfailing protector. We can trust only in God, not our weapons, not our might: we must trust in God who is far beyond such earthly powers. The Apocrypha: The Lutheran Edition With Notes (St. Louis, MO: Concordia Publishing House, 2012). Another really diverse round of posts this time. Politics, reading the Bible, and creationism are just a few of the featured topics. Check them out. If you like them, let me know! 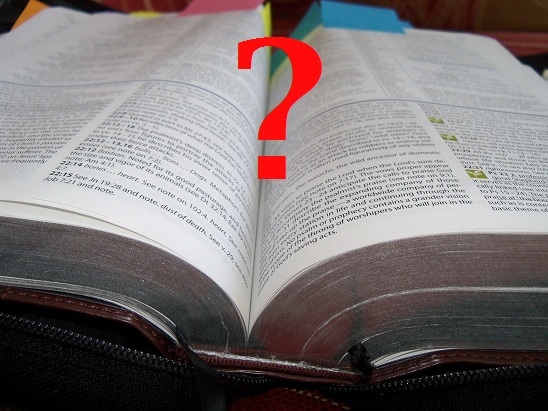 Why don’t we read the Bible?– An exhortation to reading the Bible. We need to set aside the time for real Bible study. Why don’t we? Who is Paul Ryan? 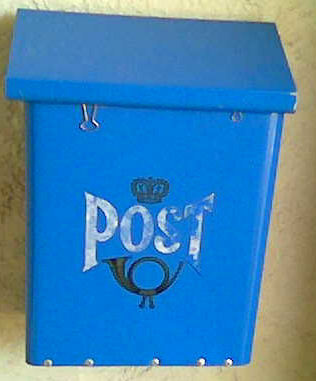 What are his political views and motivations?– Frequent readers will know that I very, very rarely discuss politics. However, I can’t help but be excited about Mitt Romney’s nomination of Paul Ryan for his running mate. Why? Well Paul Ryan’s track record as far as pro-life politics are concerned is nearly spotless. His fiscal policy also seems spot-on to me. I highly recommend checking this post out to those of my readers interested in U.S. Politics. “What Books Are a Good Investment for Scholars?”– Doug Geivett outlines which types of books will make good investments for scholars. Debating Tips for Atheists– Want to have genuine discussion with Christians, atheists? Here are some tips. The Correct View of Creation?– A survey of views on creation (old, young earth) along with some discussion over how to determine which is correct. Ehrman’s Problem 16: Cosmic Issues He Doesn’t Understand– Bart Ehrman has a lot of problems. One is that he completely misunderstands the book of Job and the cosmic issues therein. The defense of the faith is not about yourself. The focus is, and should always be, on Christ. Troubles come the way of the defender of the faith. It is not easy to continue to press on towards knowledge and truth. The Christian philosopher faces the scorn of his fellows, and the Christian apologist the ridicule of those who disagree. Yet in such striving, one can rejoice in the salvation of Christ and His glory alone. It is often too easy to get wrapped up in yourself when you are defending the faith. Look at the people discussing the arguments you make! Look at those who think you are so strong; so faithful; so spiritual! I tell you, Christian brothers and sisters, such glory is nothing to be had in comparison to the glory of Christ crucified. Further, do we preach the Gospel in such a way as to gainsay others? Paul experienced those who did this very thing; such people are in our midst to this day. Let us not use the Gospel to slander or attack. Rather, let us preach the grace of God. Thus, it is not by ourselves that we spread the Good News. It is God’s work in us, empowering us and enabling us to do His work. We cannot take credit for this, but should always turn our victories back to God. When we are tempted to delight in our own wisdom or knowledge, we must ask for forgiveness and acknowledge that it is from God. Paul’s warnings ring home to me. I have too often congratulated myself with a successful argument, a sound rebuttal. These things matter not if we do not advance the Kingdom. Let us unite with each other, build each other up, and encourage one another. By doing these things, we can work together, each with his or her strength covering another’s weakness. Let us together hold firmly to the message of life (Phil. 2:16). Read Philippians 1 and 2. Reflect on Paul’s joy in the spread of the Gospel and his own striving to keep the focus on Christ, not on himself. Help us to keep our focus always only on you. Please forgive us for the times we struggle and delight in the admiration of others. Forgive us for using your message for our own ends. Help us to forgive others when they stumble, and grant us the grace to lift them up. We work for your glory, oh Lord. Jephthah, Human Sacrifice, and God: What should we make of Judges 11:29-40? The story of Jephthah is one of the most difficult stories in the Bible. For those who don’t know it, Jephthah, an Israelite, is about to go to war against Israel’s enemies. He vows that if God grants him victory, he will sacrifice whatever comes from his door to greet him first. He wins the battle, and when he returns, his daughter runs out to meet him. She asks one last wish–that she may mourn her lack of marriage for two months. The story ends explaining that this is the reason Israelites (at the time of the writing of Judges) commemorate Jephthah’s daughter. I’ve written on the passage before, but I think my responses were inadequate. Therefore, I have decided to reexamine this story and see what we can glean from it. Part of these thoughts are due to a conversation I had with an old friend. First, the question of human sacrifice. Throughout the Bible, God specifically condemns human sacrifice (cf. Leviticus 18:21; Lev. 20:2-5; Deuteronomy 18:10). One point some make is to try to draw the near-sacrifice of Isaac into the mix, but it is contextually clear that God did not intend for Isaac to be sacrificed (see Paul Copan’s excellent work on this story in his Is God a Moral Monster?). Furthermore, it is important to note that the book of Judges is a historical book, and it therefore is not prescribing the actions described therein, any more than other historical texts are prescribing the historical accounts depicted in them (see my “Description is not Prescription”). Yet those passages which are prescriptive all expressly forbid human sacrifice (again, see Lev. 18:21; 20:2-5, Dt. 18:10). Therefore, God forbade human sacrifice, He did not condone it. It is therefore clear that God does not condone human sacrifice. Why, then, does God not intervene in the case of Jepthah and prevent this horrific event from occurring? As a friend noted, it would be quite simple for God to cause one of Jephtah’s servants or, indeed, anything else alive to have come from the door first. Why, then, does God not do this? There is no simple response to this question. Instead, it is important to note several important points before I offer a possible answer. First, God has given humans free will. The nature of libertarian free will is such that it cannot be undone. 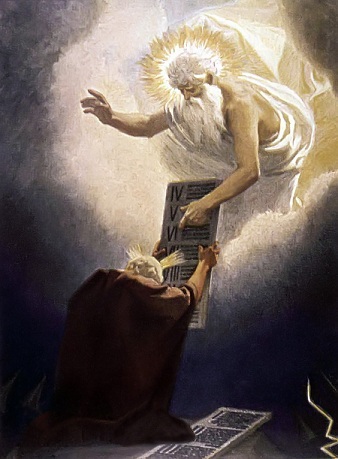 Think of it this way: If God were to give us free will only until we tried to do something wrong, and in such cases God intervened and overcame our freedom to cause us to do good, we would not have genuine freedom. We’d really have a kind of pseudo-freedom. As long as we only chose what is good, we would be free, but we could not choose otherwise. Second, think of what Jepthah had done to begin with. 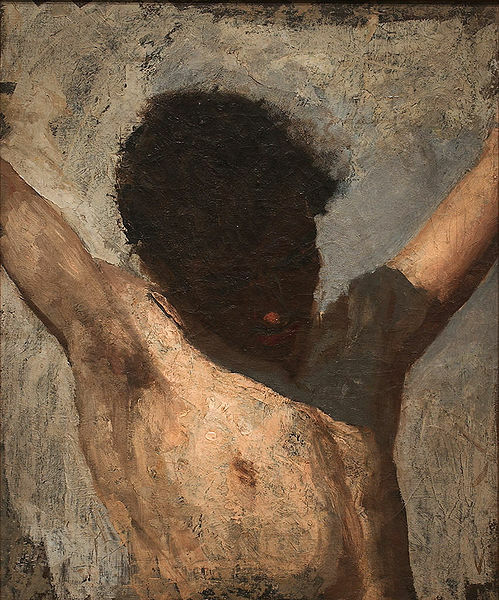 When he vowed that he would sacrifice the first thing to come out to meet him, it seems quite apparent that he had in mind human sacrifice, for a few reasons. It doesn’t seem likely that, for example, a cow walking through his doorway would count as coming to meet him. He specified that his sacrifice would be the first to come meet him. In fact, one might surmise he could have guessed it might be his own daughter–who is more likely to go running out to see him after a battle than his beloved child? There was no shortage of local cultures in the area who offered their children as sacrifices, and indeed the practice had corrupted Israel itself at a few points in history, so Jephthah may have been thinking of such a practice in order to bring about victory. Third, Jephthah was an outcast. He had been driven from the land before because of his questionable parentage (Judges 11:1-3). The Israelites turned to him only in the time of their dire need, and Jephthah was clearly tempted by their offer to be their leader (Judges 11:4-11). Even given the small amount of context we have for this narrative, we can see that Jephthah desired greatly to be given headship over Israel. It is possible that, in his lust for power, foolishly made a vow to offer one of his household in exchange for the victory. Fourth, we’ve already seen that it is expressly forbidden to offer human sacrifices. Yet Jephthah makes his vow with full knowledge of the likely consequences. 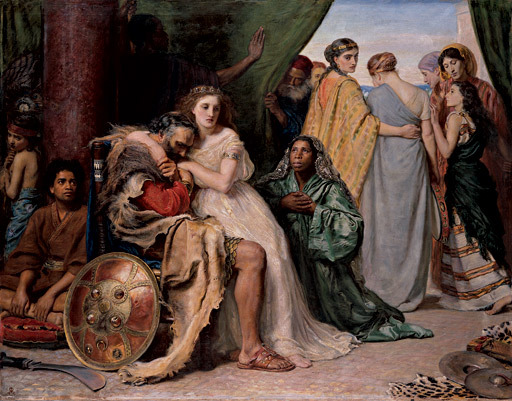 Finally, Jephthah’s vow offers a dilemma of sorts to a God who acts in history. If God wishes to prevent the human sacrifice, he must cause the defeat of Israel. This would not be just the destruction of Israel, but it would force God to go back on His promise to bring salvation through Israel, which it is impossible for God to do (Numbers 23:19). Not only that, but it would prevent God’s plan of redemption to take place. Yet if God does grant the Israelites victory, He knows that Jephthah will offer a sacrifice of whoever first steps from his house. From these quick thoughts we can see a number of possible answers. First, Jephthah made a vow which he would choose to fulfill in full knowledge that it would almost certainly be a human member of his household whom he would sacrifice. His vow was contingent upon the victory of Israel, whose defeat would have prevented God’s plan of salvation for all humankind. Therefore, Jephthah, by freely making this sinful vow, forced its conclusion. God did not prevent it from occurring because to do so would either destroy free will or prevent the Redemption. Furthermore, some have argued that Jephthah’s vow to God superseded all else. (I myself made this argument in the original post.) I think this is wrong. God’s eternal moral commands would have superseded the vow. In fact, Jesus Himself commands His followers not to make vows, but rather to let their “yes” be “yes” and their “no” be “no” (Matthew 5:33-37). Jesus actually says that those who believe that a vow to God would supersede all else are wrong–they should not be making the vow in the first place! Thus, Jephthah’s vow was doubly sinful, because it essentially guaranteed a heinous act (human sacrifice) and because he should not have made such a vow to begin with. In fact, it should be noted that if Jephthah had acted in accordance with the Bible, he should have broken the vow! God expressly forbade human sacrifice, and when Jephthah saw that it was his daughter–or had it been any other human–who came to meet him, he should have realized his vow was made foolishly. One could even argue that God did indeed act in such a way as to try to get Jephthah to realize his error. The fact that it was Jephthah’s daughter who greeted him should not have only horrified him but made him realize that his vow was sinful to begin with, and so should not be upheld. 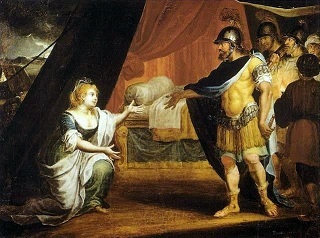 Upon the realization that keeping his vow would cause him to break God’s Law, Jephthah should not have said “I must keep this vow” and therefore increase his sin–rather he should have said “I will break this vow, and prevent a horrific sin.” But again, with his freedom, he chose not to. Jephthah’s story is, in fact, just the kind of story typified throughout Judges, and indeed throughout human history–that of God using sinful people to bring about His ends. Samson, another judge, was a violent and lustful man, yet God used him to save the Israelites on a number of occasions. In the Joseph narrative (Genesis 37ff), God used the evil actions of Joseph’s brothers to bring about a great good (Gen. 50:20). Similarly, Jephthah’s greed lead him to make a vow which he should not have kept which condemned at least one human to death. Jephthah’s free decisions brought about the death of his daughter. That is why the Bible reports this stirring story–it teaches us that our free will has consequences. That is why the painting of Jephthah is so striking–we can relate to the horror of Jephthah’s realization of his own sinfulness. We’ve each committed our own sins and had to deal with the consequences. God is not a divine vending machine who will intervene when we make mistakes, or when we choose horrifying acts. He has already provided us with an objective reality–the discernment to tell what is right from wrong. Not only that, but He has also provided a Savior, His Son Jesus, to rescue us from all evil–even death itself. God has provided an infinite good to all human persons by providing a means for their salvation. Whosoever will be saved shall be saved. The story also teaches us once more that God works through imperfect people. Although Jephthah was a sinful man with greedy intentions, he was still used by God to bring about a great good–the preservation of Israel, which itself paved the way for God’s redemptive act. P1- God is obligated to prevent evil (or some certain types of evil). What justifies that claim? If God has given us free will, there are evils God cannot prevent–those which we choose to bring about. Further, what justifies the claim that God must intervene in every situation with x amount of evil? More specifically, why is God obligated to prevent Jephthah’s daughter from being the first to leave the house (again, I think that it was a series of free choices which brought Jephthah to this unfortunate event, and I disagree with those who think that God could just supersede free will whenever necessary, but I’ll grant it for a moment)? Is God obligated to prevent every evil? Those who would seek to continue objecting that God, in the Jephthah narrative, should have intervened, must defend their restricted sense of P1, while rebutting P2 and P3, and showing that P1 is more plausible than P1′. It therefore seems that philosophically, exegetically, and theologically, the Jephthah narrative, while poignant, does not threaten God’s character. God works through human history to bring about the Redemption, using imperfect, sinful people to bring about an infinite good. Furthermore, God has given us the good of freedom, but we choose too often to abuse it. Jephthah illustrates this misuse in a heart-rending fashion which serves as a definitive reminder to those who read it that they should heed God’s word and use their freedom not for greed or gain but for the furtherance of God’s Kingdom. Ever notice that the Bible is like an action movie? There are some seriously amazing stories in the Bible. Judges is full of them. Some of these stories can really make people think, whether they believe the Bible is the Word of God or not. The Israelites sin. The LORD punishes them by sending Eglon, King of Moab. Eglon gets some allies of his to come with him and they beat up Israel. The Israelites cry out for help, and the LORD sends help for them. Enter Ehud, the assassin. 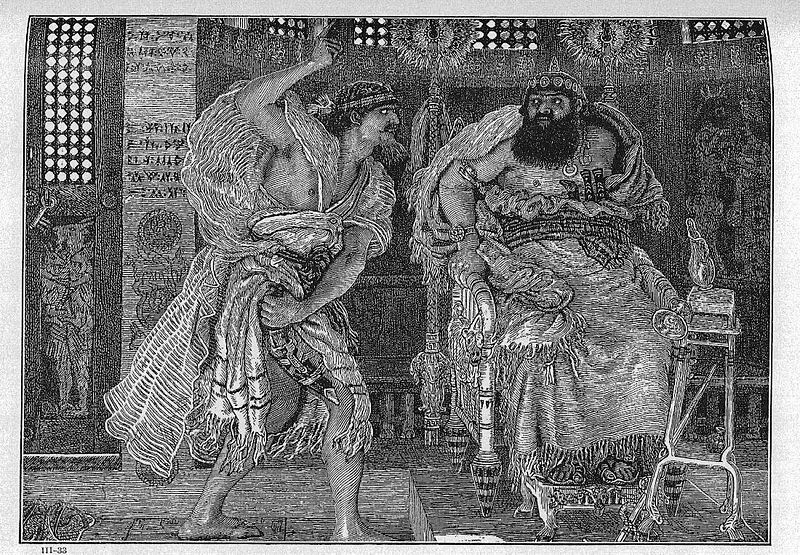 Ehud is left-handed, and the king’s body guards don’t discover his weapon (probably because they didn’t bother to search his right side–his sword would be on opposite hand to make it easier to draw). Ehud asks for a private audience and Eglon grants it. Ehud stabs Eglon so hard that it sinks all the way into the portly man’s flesh. Leaving his blade behind, Ehud escapes and rallies the troops, who unite around their new leader. He then strikes ten thousand Moabites down with his army, and none escape. Yeah, it could make a pretty epic action movie. But what about a Bible story? How are we supposed to take this story in the context of Scripture? Note once more the beginning of the story: the Israelites did evil (Judges 3:12). Throughout Judges, we see the same pattern: the Israelites do evil, and God punishes them by oppressing them with one of the nations in the area. Then, the Israelites realize their evil, and they cry to God, repentant, and ask Him for help. He delivers them from their enemies, and there is peace in the land. What can we take away from this story? Does it show another instance of evil in the Bible which Christians must hide? No, rather it shows the story that we can see woven throughout the Scriptures: a story of redemption and peace with God. Because of Jesus, we now live in an era in which we no longer have to wait for a deliverer, as Israel did. We’re told that all people have sinned and fall short (Romans 3:23), just as the Israelites did. And we all deserve punishment. But when we cry out to God, we know there is a redeemer close at hand. God forgives our sins because of Christ, and we can live in peace. The cycle in Judges is repeated over and over. It reflects a time in which everyone did what they willed (Judges 21:25). God came to His people with the understanding they had. But in our time, we have Jesus who died once for all. The cycle is broken, and we may enjoy eternal peace. See Judges 3 for more on Ehud. This is part of a continuing series on “Awesome Person(s) of the Bible.” Other posts can be found here.